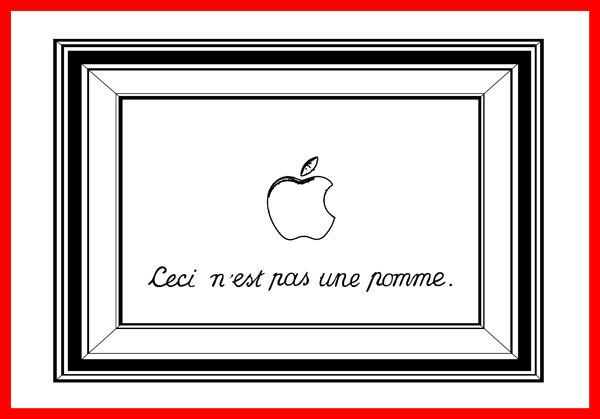 Ceci n’est pas une pomme. 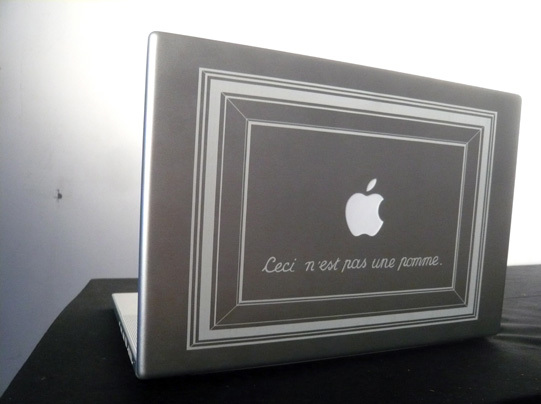 Ceci n’est pas une pomme (or, The Treachery of Laser Engravers) is an homage to the original honest image. The subject already existed; it just needed to be framed. Editable Illustrator file with alignment template or engraver-ready EPS.